Or, you may have invested a good amount of effort in your storage too, and still not found a satisfactory solution. That is what happens when you rely on shelving and storage systems developed for other purposes. We used to just buy the plastic crates and shelving units at Home Depot but after noticing some warping on our LP’s we decided it was time to level up our storage game. What your records really need is a storage system which was built specifically for vinyl. Right now, we are going to share with you our favorite vinyl record storage ideas and some tips to safely store your beloved LP’s and protect your investment. But first, let’s talk about what is important in a vinyl record storage system. That way you can make an informed buying decision. Not all record storage systems are equal. In fact, if you want something really sophisticated, you are probably going to pay a premium for it. Dimensions and capacity. Take stock of your record collection (if you haven’t already) and figure out exactly how much space you need inside your storage system. Also decide where you will put the cabinet in your home, and search for a model which fits your requirements. Finish and aesthetics. Consider the materials used in construction as well as the finish and how they will mesh with the décor in your home. Door or no door. 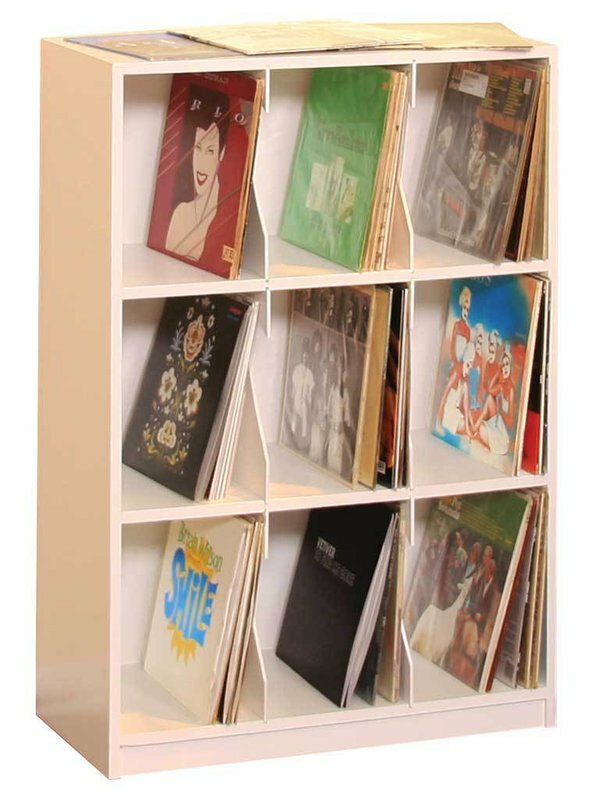 You can purchase a vinyl record storage cabinet with or without a door. Go with what is most convenient to you. Space for your turntable. Are you shopping only for a vinyl record storage cabinet, or do you also want the system to include a space for your turntable? If so, what dimensions will you need to support your turntable model? Adaptability. There are multiple considerations in this respect. Can you add or remove dividers? Is the unit ideal only for vinyl, or would it be useful for storing other items too? Can you stack units as your collection grows? Can the storage cabinet also pull double duty as some other functional item, i.e. 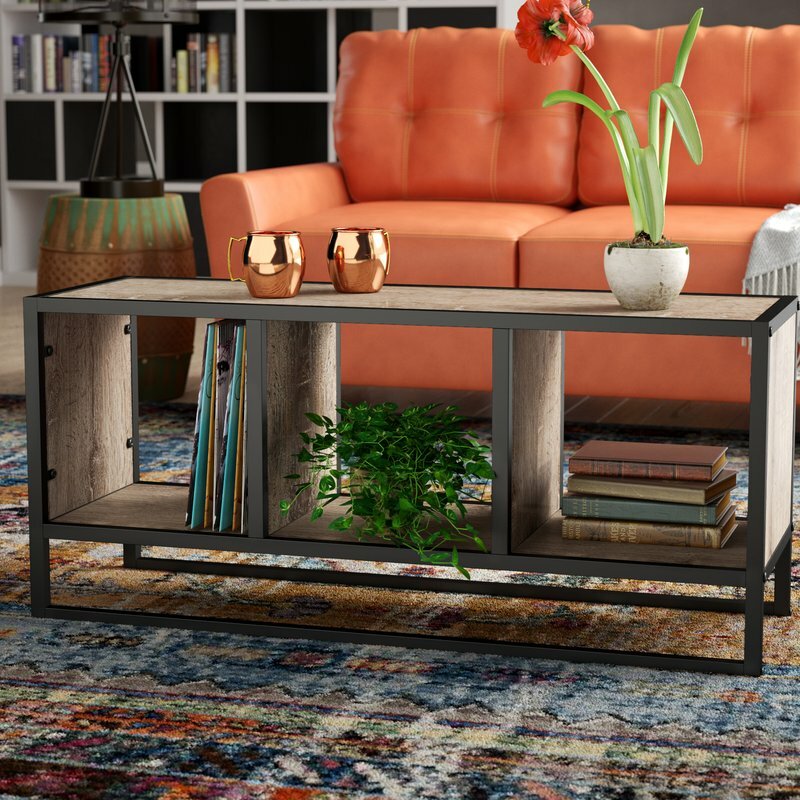 an end table or coffee table? Additional features. Premium record storage and turntable systems may also include special features like low-vibration materials and construction, cable management ports, and more. Warranty. While any company may sell a record storage cabinet which is stated to be built out of high quality materials, not every company will back this claim up. If you can purchase a cabinet with a solid warranty on it, that is excellent added value to your purchase. It is smart to make a list of your requirements and preferences before you start shopping. Also take some time to think about your budget. While you can get a cheap solution for your albums, we’re guessing you made it to this page because the cheap solutions you have already tried just aren’t cutting it. We recommend that you be willing to spend at least $100 on a solid system. If you’re serious about your records, consider spending $300 and up. Now that we have gone over some key features and considerations when shopping for a vinyl record storage system, let’s take a look at some of the top products on the market this year. First up, we have the Gardner Multimedia Cabinet. This cabinet is worth considering if you are looking for a stylish all-in-one solution for your vinyl storage needs. The mid-century look of the cabinet could integrate well with a wide variety of décor. It would be equally at home in a room with classic furnishings or one with a more modern flavor. If you are after a storage system with a clean, classic look, this cabinet is an excellent option. It will keep your records neat and protected but out of sight. This is helpful if you do not want to display them, opting instead for a neat appearance to a room. Plus, it may also keep them from collecting dust, and that is a nice bonus. Despite its name, the dimensions of this storage cabinet seem to suggest it would work best on the floor. It is equipped with removable dividers so that you can configure your storage as needed. The design of the cabinet is modular in nature; if you need to expand your storage to accommodate a larger collection, you can just purchase more cabinets and stack them side-by-side or one atop the other. If you want to maximize the adaptability of your vinyl storage solution, this cabinet with its modular design and its removable dividers should be a fantastic fit for your needs. The wide choice of finishes is another plus. For those in the market for a vinyl record storage cabinet and turntable station which is compact and offers a lot of premium features, this cabinet from Line Phono may be ideal. 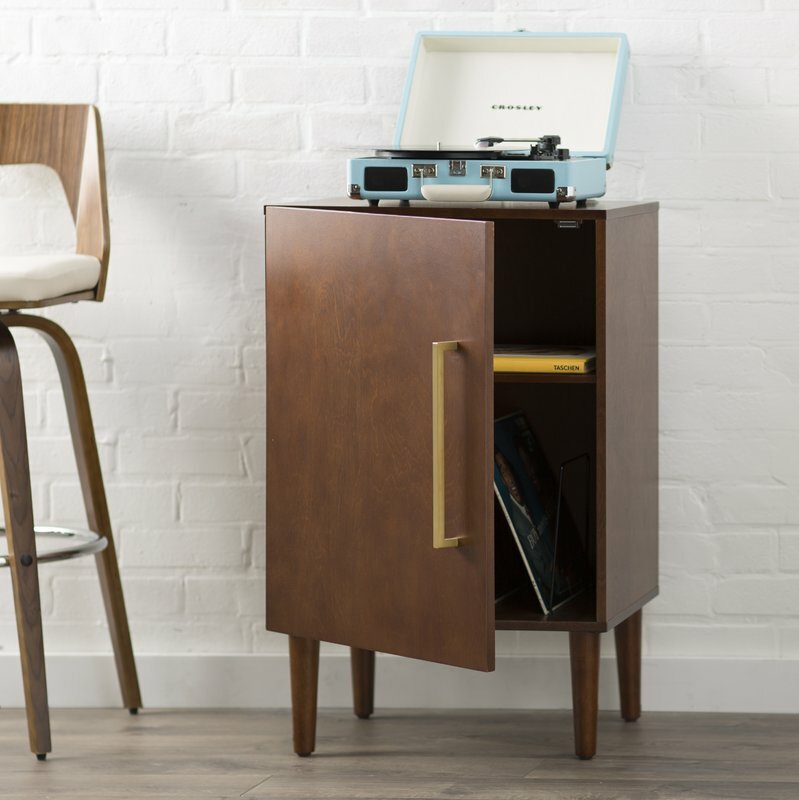 This vinyl storage cabinet and turntable station is worth considering if you are a serious vinyl enthusiast who is looking for a solution which goes beyond storage. Not only does this cabinet help you to keep your vinyl and accessories organized, it actually adds to your listening experience through its optimized design and special features. Attention to detail, quality craftsmanship, and extra thought and care put into every aspect of the Line Phono Turntable Station + Vinyl Record Storage make it a superior choice. 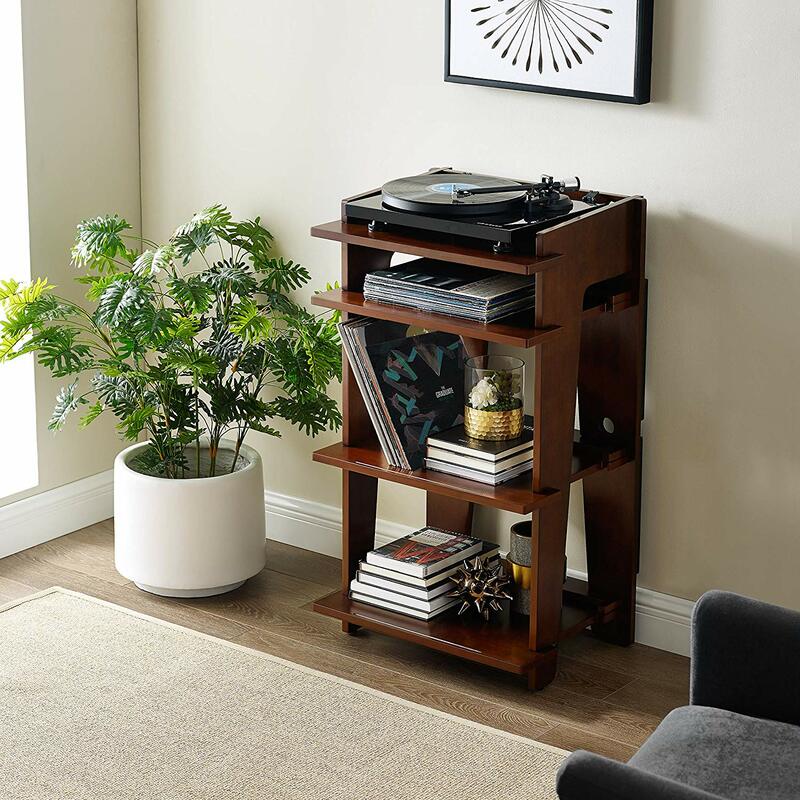 If you are looking for a less expensive alternative to the Line Phono Turntable Station + Vinyl Record Storage system above, the Crosley Soho Turntable and Record Stand may fit the bill. If you are on a budget and want to purchase something similar to the Line Phono Turntable Station + Vinyl Record Storage, this alternative includes a similar style, configuration, and features. While many of the best vinyl storage options out there were designed exclusively with records in mind, there are also some good generic options which are suitable for LP storage. 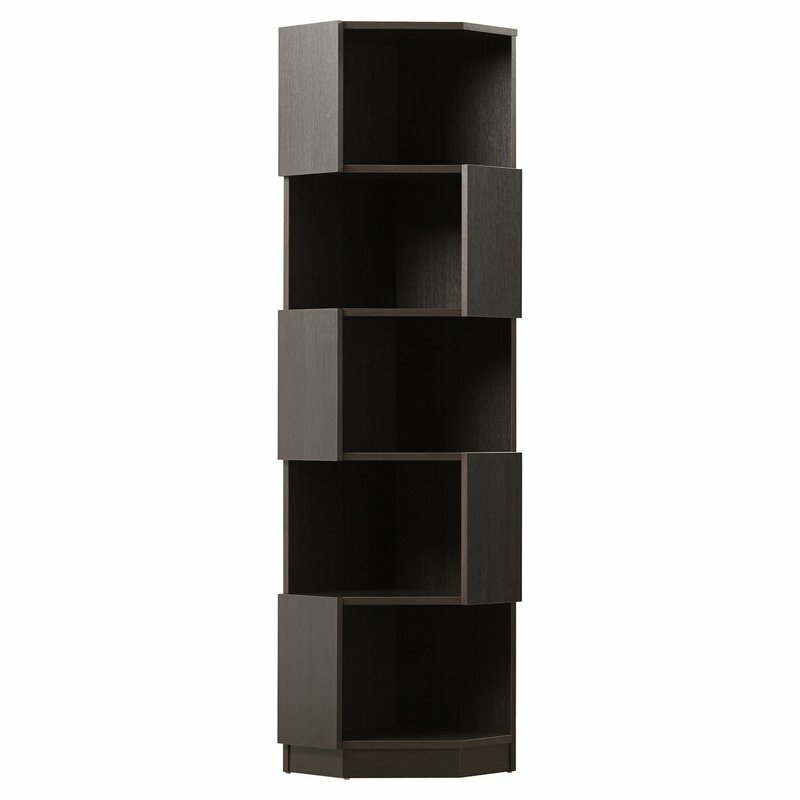 One such product is the Hamilton Multimedia Record Cube Unit Bookcase. This product was designed with both books and records in mind. 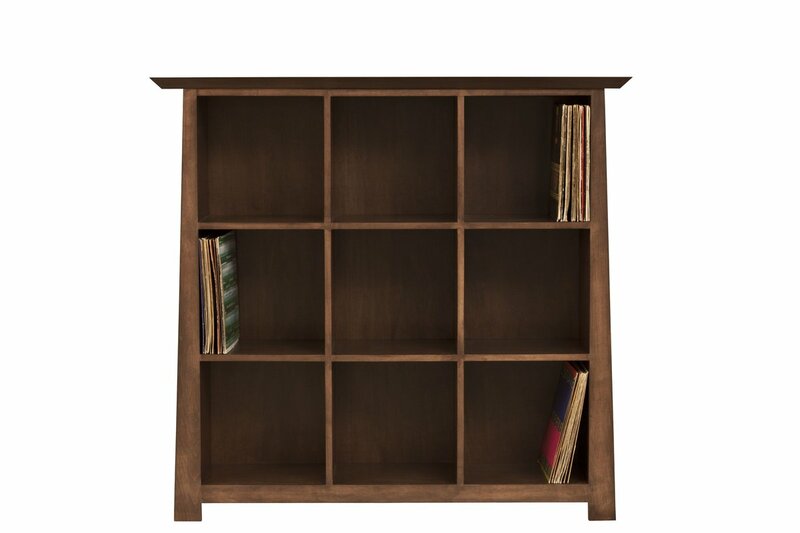 This bookcase/vinyl record storage cabinet is in the premium price range. While it does not have a lot of special features, it is aesthetically pleasing and constructed out of solid wood. With its elegant design, it can be a compliment to any room in your house. Here’s a different approach to vinyl record storage. Instead of a cabinet which you set against a wall, this storage cabinet doubles as a low coffee table. Place it in front of your couch or along a wall. Wherever you choose to use it, it will fulfill more than one function. 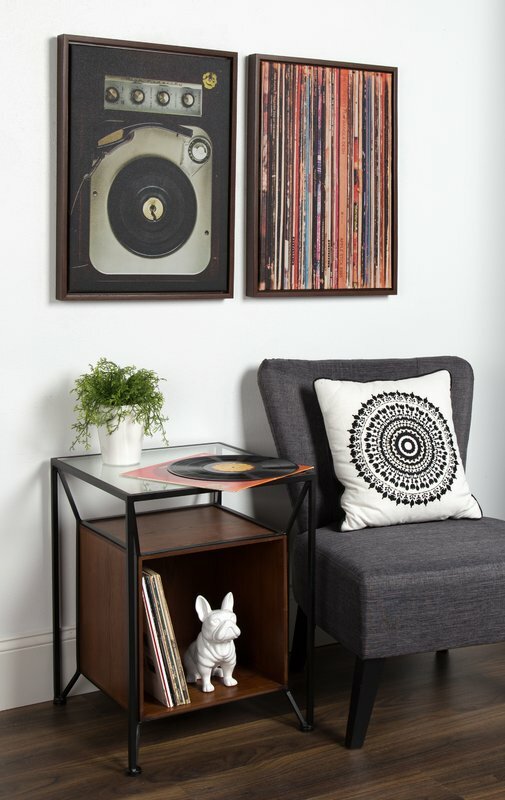 This vinyl record storage shelf and coffee table combination is an ideal space-saving solution for small homes. With its minimalist aesthetic, it can integrate well into just about any interior, but is a particularly good option if your décor has industrial or rustic flourishes. Quite a few of the record storage systems which we have featured so far have a horizontal configuration. But if your goal is to save floor space while maximizing your use of vertical space, you may like the Courtdale Corner Bookcase. As its name indicates, it is designed to fit into a tight corner in your home. If you have a corner space in your home which is going unused, that is the perfect spot to set up this shelf. You will optimize your use of space in your home, and you will have a beautiful furnishing for holding your record collection. The cubbies also are perfect for books, vases, pictures, plants, and more. 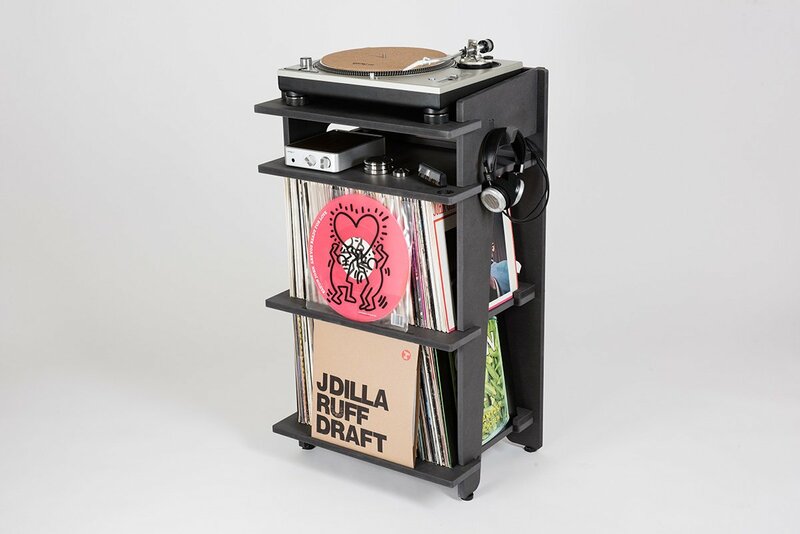 If you are looking for a unique and decorative way to store your vinyl record collection, consider this record storage end table by Goodspeed. The artistic design is immediately eye-catching, but elegant and subtle enough to fit in any interior. It is hard to imagine any room which would not be enhanced with the addition of this beautiful end table. That being said, it would fit in particularly well with industrial and modern styles of décor. You have now had a chance to check out some of the best vinyl storage systems and turntable stations on the market. It is time to show your record collection some love and make sure they last forever!